Open Rooms website customers can now take advantage of new search engine features and a choice of three different template designs. Open Rooms offers small hotel and bed and breakfast owners full control over their website with our extensive content management system, The Claymore Project, which offers an RSS enabled news system, gallery, room rates and this integrates fully with our online booking engine Bookassist. Control over Search Engine Optimisation has been advanced and full control over your Meta Tags is offered viayour control panel. 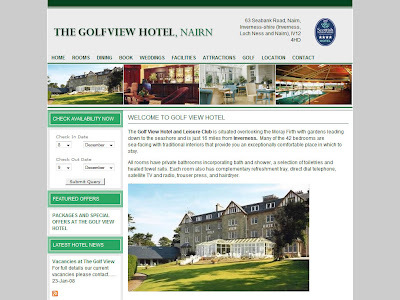 You can see an example Sitebuilder Hotel Website by The Edge at www.golfviewhotelnairn.co.uk.